Router firmware updates are as important as updating any device's firmware. A firmware upgrade offers new features and security improvements. If you've had your wireless router for years, chances are there's a firmware upgrade you could (and should) perform. However, unlike updating computer software, which you can usually do with a simple updater tool, router firmware upgrades are not as easy to understand. Fortunately, there aren't very many steps you have to take to update the router firmware. Why Upgrade the Router Firmware? Your router’s firmware is basically the operating system that's specifically designed to run on your specific make and model of router. That is, unless you're using a multi-router compatible open source firmware such as DD-WRT. One good reason why your router manufacturer may put out a firmware update is because they're trying to fix a vulnerability that was detected in the current firmware. It's similar to updating any device. When bugs are found and corrected, updated firmware is released so that users can actually implement those fixes. Router manufacturers might also issue a firmware update to add new features to the router, such as parental control settings or IPv6 support. Other upgrades might include adding entirely new security mechanisms that weren’t in previous versions of the firmware. Besides security fixes, your router manufacturer might have found a way to enhance your router’s overall performance, which is always a good thing. Not updating your firmware in this situation might leave you missing out on speed boosting upgrades that could improve the overall performance of the network. Every router is different, but there's still usually a somewhat similar process for upgrading the router’s firmware. Below are basic steps for performing a firmware upgrade, but be sure to check your router manufacturer’s website for a user manual that includes specific instructions for your make and model. Some routers upgrade their firmware automatically, but this is only the case for newer, "smart" routers such as some mesh network routers. If you've heard that your router needs a firmware upgrade but you have one of these newer routers, check the update log in the app to see if the update has already been applied. Download the firmware file from a trusted source. Ideally, you'd get the firmware directly from the manufacturer's website. For example, if you were upgrading the firmware on a Linksys E1000 router, you'd visit its download page on Linksys' website to find the firmware download. If you download the firmware file from anywhere other than the manufacturer's official website, scan the file for malware just to be sure. It's extremely important to download the correct firmware file for the hardware version of your router. If your router comes in various hardware versions, read the instructions on the download page to make sure you're picking the right file. Log in to the router's administrative console. This is accomplished by opening the router's IP address as a URL in a web browser, such as http://192.168.1.1 if your router's IP address is 192.168.1.1. These are common default IP addresses for some of the more popular wireless router brands. Once you reach the router's login page, enter the password and username for the admin user. This is usually admin for the password, and the username can often be left blank if not admin or root. If none of those IP addresses are working, or the username and password above won't let you into the router, check out these lists of default login information for these router brands: NETGEAR, Cisco, Linksys, D-Link. Locate the firmware section in the router's settings. This is often in an Advanced or Management part of the settings, but could really be anywhere since not all routers are the same. You can see in this example that the firmware update settings are in Management > Update Software. Now is a good time to double check that the router firmware version you downloaded in Step 1 is actually newer than the one your router is currently using. Look for a firmware version number that you can compare to the one you downloaded. Transfer the firmware file to the router. This is how the firmware is applied. Some routers might have you plug a flash drive that contains the firmware file into an open USB port on the router, but others let you upgrade the firmware from the router's "website" like you see in Step 3. 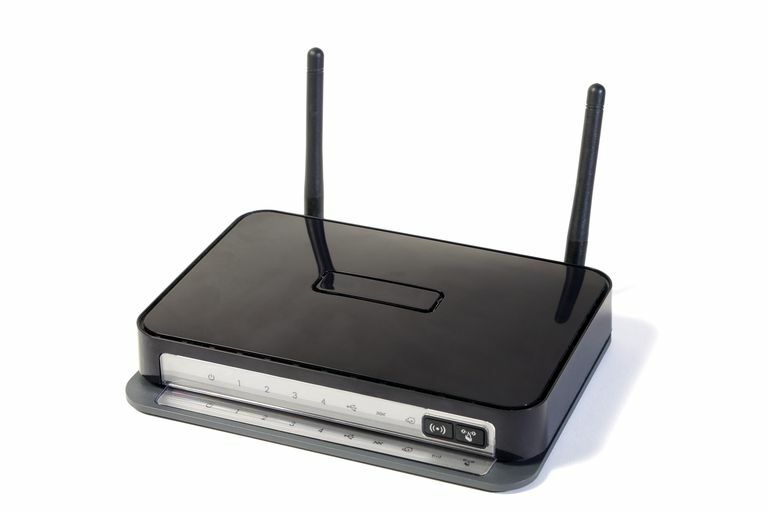 Follow the steps given to you for your specific router. It should be fairly straightforward, but if you don't see the instructions on the web page, search the user manual. Do not interrupt the firmware installation. Avoid updating the router firmware if the power might suddenly go out, like during a storm, and definitely don't manually shut off the router during the upgrade. Reboot the router once the firmware has been fully applied. This should happen automatically during the update procedure, but do it manually if it doesn't.